Come and see the fantastic air-conditioned high-spec site at Anytime Fitness Harlow, one of Harlow’s most popular gyms. Equipped with state of the art fitness equipment from Life Fitness to Hammer Strength, this club has everything that you'll need to reach all of your personal health and fitness goals. On the cardio equipment you can pass the time while you’re exercising by watching your favourite television programmes, listen to music and surf the net and connect with friends on social media. If you fancy something a little more scenic, why not try jogging to one of the High Definition scenery courses from around the world, such as the Grand Canyon? You can even take your pick of 100s of virtual Wellbeats On-Demand classes, in the fully air-conditioned studio, ready whenever you are. There is also an extensive range of brand new fixed resistance Life Fitness machines as well as a comprehensive free weights section. This area includes smith machines, a plate loaded leg press, a shoulder press and chess press, dumbbells up to 50kgs, squat racks and benches. If you’re looking for some extra motivation to get fit or to lose weight, try a studio class, available at an additional cost. Popular classes at Anytime Fitness Harlow include Core Circuits, Zumba Fitness and Yoga. You could also try a session with a personal trainer, to really help you get the maximum out of your workout. For more information about the costs of classes and personal trainers, please enquire at the Anytime Fitness Harlow reception. 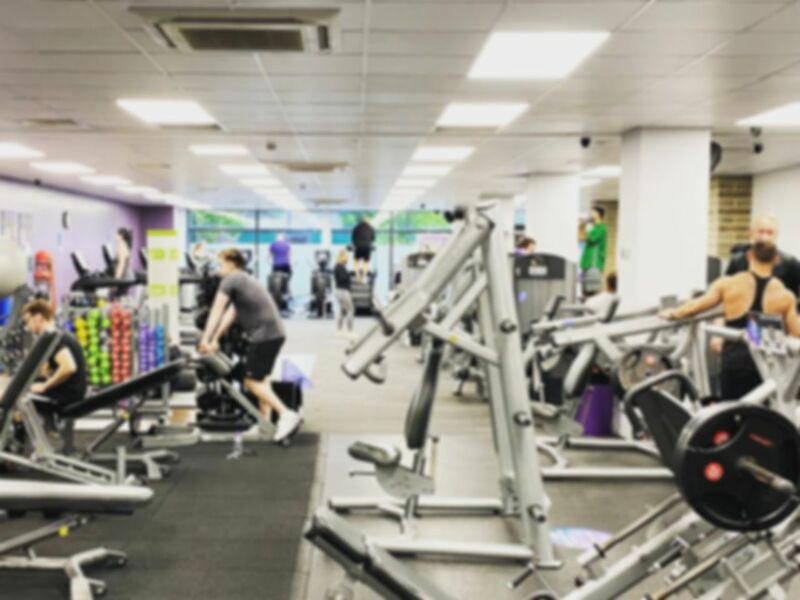 Located next to Harlow Town rail station, and with convenient parking, Anytime Fitness Harlow is accessible for all. Please note that PayasUgym customers will only be able to enter the club during the manned hours, listed under the opening hours tab.